Purchasing a bottle of The Next Big Thing BBQ Sauce means you're on the road to tasting the best BBQ of your life. When EAT BARBECUE named their award-winning BBQ sauce "The Next Big Thing," they weren't kidding. This barbecue sauce is different from any other BBQ sauce but it's still traditional in thickness and sweetness. The Next Big Thing BBQ Sauce is on the sweet side, but well-balanced with hints of smoke and spice. Anything you put this sauce on will immediatly be blue ribbon worthy. This Kansas city style sauce is great on everything from briskets to fish. The Next Big Thing is an all around all-purpose BBQ sauce. Whether if you're looking to impress the judges or your friends, this barbecue sauce will turn your food into blue ribbon masterpieces. Especially when combined with EAT BARBECUE rubs. The Next Big Thing is the best championship winning, all-natural, Kansas city style BBQ sauce out there. 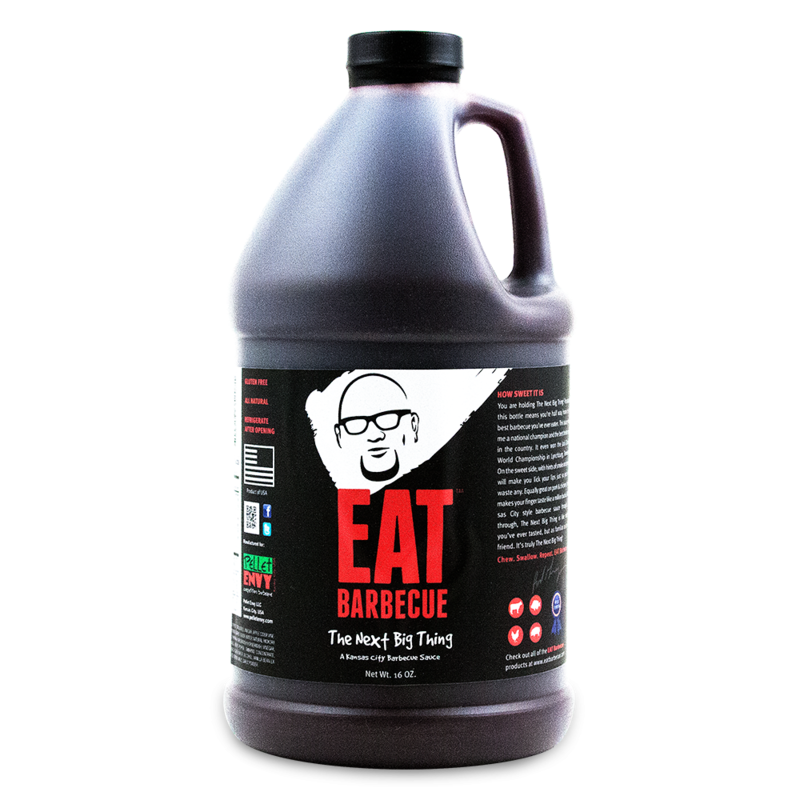 Now available in 1/2 gallon for those who can't resist the savory taste of EAT BARBECUE BBQ sauce.